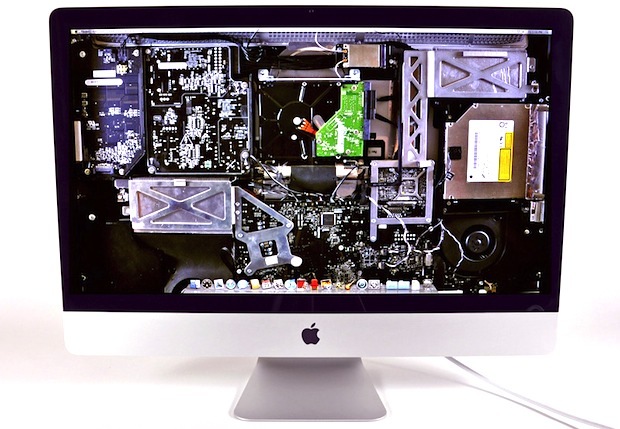 Recently we posted a Mac museum collection that featured an iMac using wallpaper that made it appear like you could see right through to the logic board. It turns out these images are from iFixIt, the company that likes to tear down Apple hardware. In the process of documenting their teardowns, iFixIt also has taken high resolution images that work great for wallpapers, giving the illusion that there is no screen on the device, and instead making it look as if icons and windows are floating directly atop circuitry. It’s a cool effect, and they have a variety of freely available native resolution wallpapers in this style for the iMac, iPad, iPhone 4, iPhone 3GS, and even the Apple external Thunderbolt display. 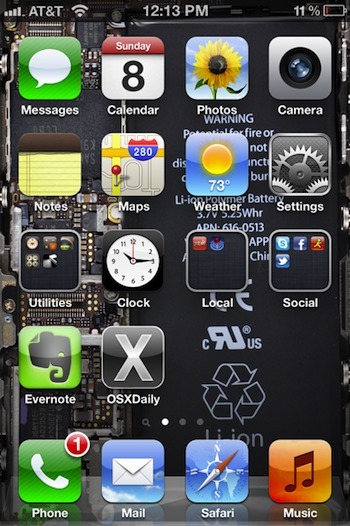 The iPhone is a little crowded with icons on top but still looks good. 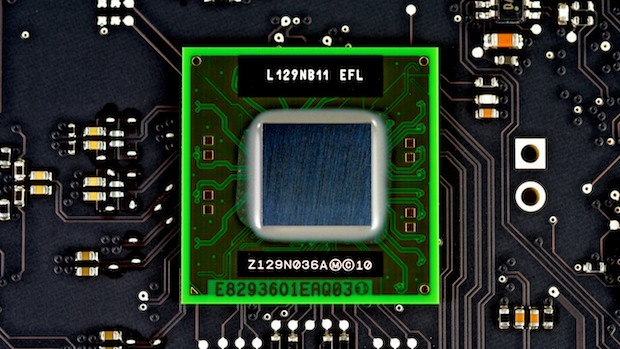 The external Apple Thunderbolt Display’s internal wallpaper focuses on the chips instead. 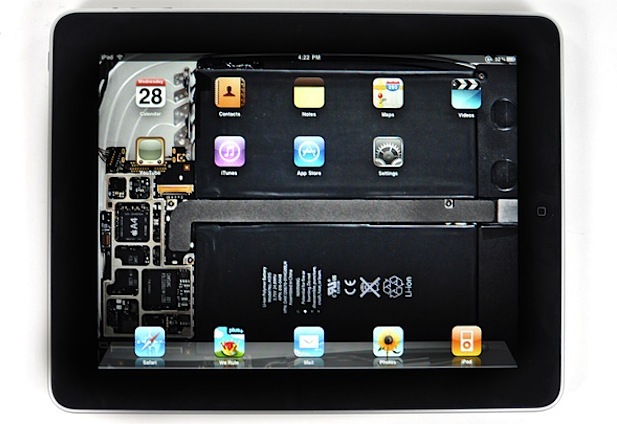 Direct links to iFixIt’s wallpaper: Thunderbolt, iPhone 4, iPhone 3GS, iPad, iMac 21″, iMac 27″. Thanks to Rejean for pointing these out in the comments! I can’t open the links! I need an iPad one. Please if someone has it contact me! Do you have downs? There isn’t much aside from an aluminum(If I’m correct) plate and a ribbon connection to see. There’s the ribbon cable, the aluminum plate, and the back of the apple; so it would still be cool. Curious if these could be tied to a background system diagnostic and flash wherever a problem has been located.